The CSS formatting model provides for a flow of elements and text inside of a container to be wrapped into lines. The formatting of elements and text within a line, its positioning in the inline progression direction, and the breaking of lines are described in [CSS-TEXT-3]. This module describes the positioning in the block progression direction both of elements and text within lines and of the lines themselves. This positioning is often relative to a baseline. It also describes special features for formatting of first lines and drop caps. It extends on the model in [CSS2]. Many aspects of layout here depend on font metrics. While the relevant metrics exist in OpenType for Latin/Cyrillic/Greek and for CJK, they are missing for many other writing systems. 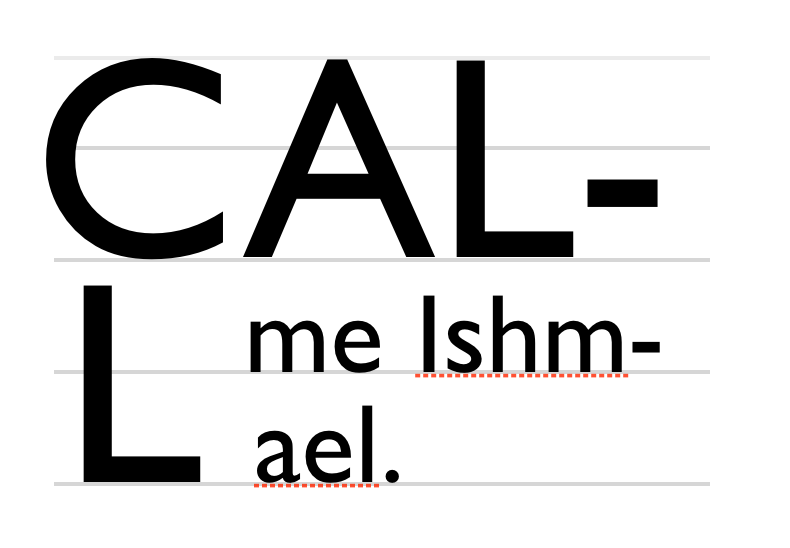 For example, the visual top metric for Hebrew has no metric in the OpenType tables. For this module to work well for the world, we need fonts to provide the relevant metrics for all writing systems, and that means both that OpenType needs to allow such metrics and font designers need to provide accurate numbers. Match the box’s ideographic under-side baseline to that of its parent. 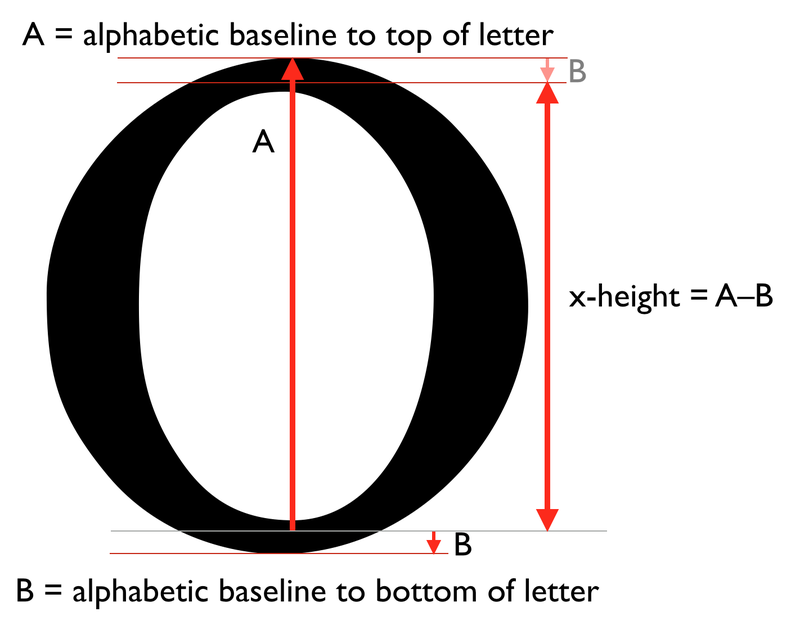 This corresponds to the ideo baseline in OpenType. See [CSS-WRITING-MODES-3] for an introduction to dominant baselines. Fill out this definition so that it fully replaces CSS2. The fact that percentages compute to lengths is annoying. See also href="https://github.com/w3c/csswg-drafts/issues/3118">Issue 3118 and Issue 2165. This is a rought draft of a proposal, and has not yet been approved by the CSSWG. See discussion in Issue 3199, Hyatt’s message, and dbaron’s proposal. This property controls the method by which line boxes are sized, and thus the spacing between lines of text. The inline box contributes to the sizing of its line box based on its line-height, rather than based on its box edges, as defined in [CSS2]. In Quirks Mode [QUIRKS], any inline box fragment that has zero borders and padding and that does not directly contain text or preserved white space [CSS-TEXT-3] is ignored when sizing the line box. Note: In this model, vertical rhythm is broken any time there is a change in font metrics within a paragraph. The inline box contributes to the sizing of its line box based on its margin box, rather than its line-height. Half-leading is inserted inside the content box edges, rather than overlapping the padding/border/margin areas. However, positive half-leading is only applied to the root inline box. Negative half-leading is applied to all inline boxes,- reducing the size of the content box as needed. Note: This will give consistent line spacing as long as there is some amount of leading added, such that the half-leading on the root inline is large enough to accommodate the unleaded ascent/descent of its descendants. The line box will grow, however, to accommodate content that would otherwise overflow, to avoid overlap between lines. Should this property apply to block containers or to inline boxes? In the latter case, an individual inline could say "pay attention to me" or "don’t pay attention to me". This is a rought draft of a proposal, and is likely to change significantly as design critiques and use cases are registered. Values and property names may be added, dropped, and/or renamed, and the overall syntax or behavior may change. Do not implement (yet). The CSSWG particularly invites feedback on which font metrics need corresponding keyword values. To ensure consistent spacing in the basic case of running text, CSS line layout introduces leading both above and below the text content of each line. In addition, the ascend and descent font metrics themselves include extra space above and below the most common glyph sizes in order to accommodate occasional characters and diacritics which ascend or descend beyond the typical bounds. This prevents subsequent lines of text from overlapping each other. However, all this extra spacing interferes with visual alignment and with control over effective (visually-apparent) spacing. The leading-trim properties allow controlling the spacing above and below the first and last lines of a block. It allows precise control over spacing; moreover, by relying on font metrics rather than hard-coded lengths, it allows content to be resized, rewrapped, and rendered in a variety of fonts while maintaining that spacing. A common problem is vertical centering. It’s easy to vertically center the text container to an icon, but because the visual boundaries of Latin text are the cap height and the alphabetic baseline, rather than the ascent and descent, this often doesn’t yield the intended visual effect. Measuring to the top/bottom of the text may yield equal results, but measuring to the visual bounds shows that it is not visually centered. To center the text visually, it’s necessary to asume the cap height and alphabetic baseline as the top and bottom edges of the text, respectively. Measuring to the cap height / alphabetic baseline instead of the ascent / descent and equalizing those distances visually centers the text. By using leading-trim to strip out the spacing above the cap height and below the alphabetic baseline, centering the box actually centers the text; and does so reliably, regardless of what font is used to render it. Even though different fonts have different cap heights, by using the font’s metric rather than a magic number, the layout intention is met even as the font is changed. Half-leading is applied over the first line, just as for every other line. Half-leading is not applied over the first line; the top of the line box is set to the text-top metric of the root inline box. Half-leading is not applied over the first line; the top of the line box is set to the cap-height metric of the root inline box. Half-leading is not applied over the first line; the top of the line box is set to the ex-height metric of the root inline box. Half-leading is not applied over the first line; the top of the line box is set to the ideographic top (idtp) metric of the root inline box. Half-leading is not applied over the first line; the top of the line box is set to the ideographic character face top (icft) metric of the root inline box. Half-leading is not applied over the first line; the top of the line box is set to the alphabetic baseline metric of the root inline box. Half-leading is not applied over the first line; the top of the line box is set to the ideographic bottom (ideo) metric of the root inline box. Half-leading is not applied over the first line; the top of the line box is set to the ideographic character face top (icfb) metric of the root inline box. This property is a shorthand of leading-trim-over and leading-trim-under. If cap or ex is specified, leading-trim-over is set to that value and leading-trim-under is set to alphabetic; otherwise both longhands are set to the specified keyword. Once the line box has been sized, the final logical height of the inline box’s content area is calculated as the stretch fit into the line box, and it is positioned such that its margin edges coincide with the line box’s edges. Initial letters are typically a single letter, although they may include punctuation or a sequence of characters which are perceived by the user to be a single typographic unit. The ::first-letter pseudo-element, defined in [SELECT] and [CSS-PSEUDO-4], can be used to select the character(s) to be formatted as initial letters. Note that since ::first-letter selects punctuation before or after the first letter, these characters are included in the initial-letters when ::first-letter is used. The ::first-letter pseudo-element selects the quotation mark as well as the “M”. Value: normal | <number> <integer> | <number> && [ drop | raise ]? This property specifies the size and sink for dropped, raised, and sunken initial letters as the number of lines spanned. This optional second argument defines the number of lines the initial letter should sink. A value of 1 indicates a raised initial; values greater than 1 indiciate a sunken initial. Values less than one are invalid. Computes to an initial letter sink of 1. Computes to an initial letter sink equal to the initial letter size floored to the nearest positive whole number. If the initial letter sink value is omitted, drop is assumed. Values other than normal cause the affected box to become an initial letter box, which is an in-flow inline-level box with special layout behavior. The initial-letters property will take effect only on the <em>. The styling on <b> is ignored, as it has an ancestor already styled as an initial letter; and the styling on <strong> is ignored because it is a second sibling. There are two types of initial letter boxes: those that arise from non-replaced inline boxes and those that arise from atomic inlines. For the non-atomic inline initial letter, the box and its contents participate in the same inline formatting context as the line on which it occurs, and a lot of special rules apply to give the expected sizing and alignment. For an atomic initial letter, however, which is either a replaced element or which establishes an independent formatting context for its contents, the sizing of the box (aside from its automatic size in the block axis) and layout of the contents within the box follows the usual rules: it is primarily the positioning of the box which is special. All properties that apply to an inline box also apply to an inline initial letter except for vertical-align and its sub-properties, font-size, line-height, line-sizing, and inline-sizing. Additionally, all of the sizing properties and box-sizing also apply to initial letters, (see [css-sizing-3]). All properties that apply to an atomic inline also apply to the atomic inline when styled as an initial letter, except for vertical-align and its sub-properties. Reword that to handle box-sizing correctly. 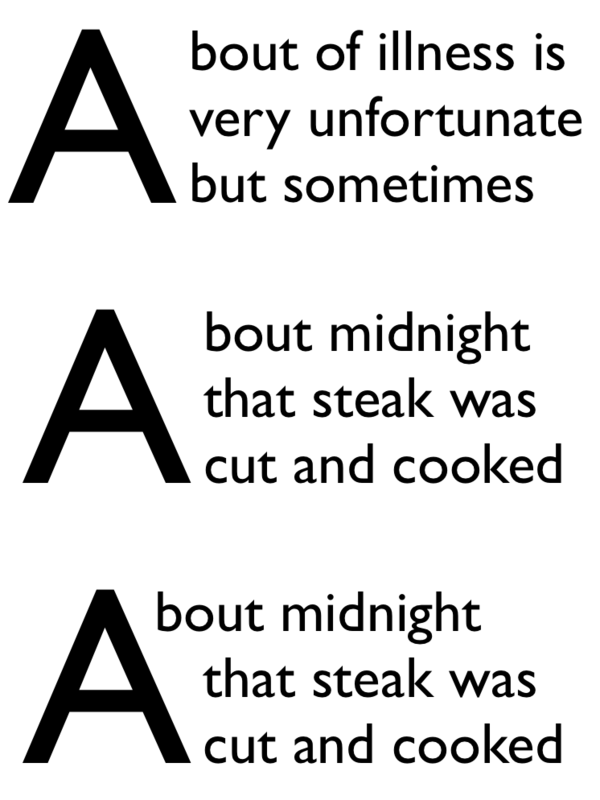 For an inline initial letter, the font size used for sizing the initial letter contents is calculated to fulfill its specified size (see initial-letters) as anchored by its specified alignment points (see initial-letters-align). Note that no layout is required in this calculation: it is based only on computed values and font metrics. These used font size calculations do not affect the computed font-size, and therefore have no effect on the computation of em length values, etc. What about inheritance to descendants? For an atomic initial letter, the used font size is the computed font size as usual. The line height used in these calculations is the line-height of the containing block (or, in the case where a baseline grid is in use, the baseline-to-baseline spacing required by the baseline grid [CSS-LINE-GRID-1]). The contents of the lines spanned, and therefore any variation in their heights and positions, is not accounted for. 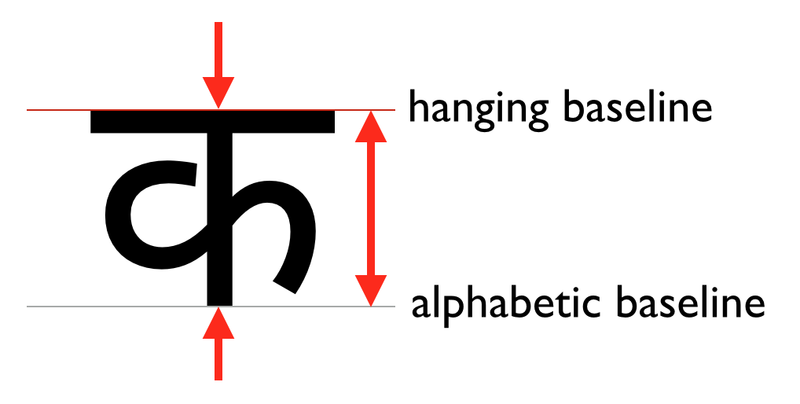 For an N-line drop initial in a Western script, the cap-height of the letter needs to be (N – 1) times the line-height, plus the cap-height of the surrounding text. Note this height is not the font size of the drop initial. Update this calculation to be a) generic across writing systems / alignment points and b) handle non-integer sizes. When initial-letters is not normal, shaping should still occur across an inline initial letter box’s boundaries. (See CSS Text 3 §7.3 Shaping Across Element Boundaries.) For example, if the first letter of the Farsi word “پس” were styled with initial-letters: 2 1, both letters would be styled in their joined forms, with initial-form “ﭘ” as the initial letter, followed by the normally-styled final-form “ﺲ”. Note that the two letters might not always graphically connect, even when shaped in their joining forms. For an inline initial letter, if the initial letter’s specified width/specified height is definite, use that value (clamped as required by the min size and max size properties, and handling box-sizing as required) for that dimension of the box. For atomic initial letters, sizing follows the usual rules for that type of atomic inline. However, if the box has an automatic block size (auto), then its block size is determined as for an inline initial letter with border-box alignment, and is definite. If the inline size is definite, text-align is honored for aligning the contents of the initial letter within its box in the inline axis (using its inline-axis bearings as usual, not the bounding box of its glyph outlines). If the block size is definite, align-content is honored for aligning its contents in the block axis (using its block-axis bearings, synthesizing them if needed). The initial letter is then made an exclusion area, the same as if it were a float. See initial-letter-wrap for details. In the block axis, the initial letter is positioned as required to satisfy its under alignment point (initial-letters-align) at its specified sink (initial-letters), i.e. it is positioned such that it would sink the number of lines specified by initial-letters’s second argument and align to the requisite under alignment point if it was assumed that its containing block held only the initial letter itself followed by an infinite sequence of plain text as the direct contents of its root inline box. Its position is anchored with respect to the line on which it occurs. 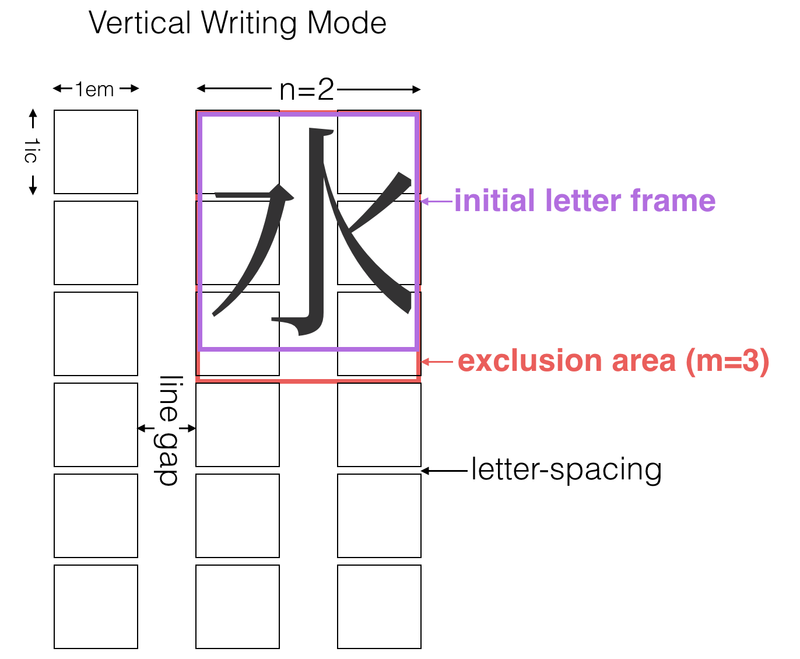 In the inline axis, the position of the inline letter is given by matching its inline-start margin edge with the inline-start edge of the line box. However, if the initial letter is a non-atomic inline with an automatic inline size and zero padding and borders, it is negatively offset by the distance from the start edge of its content box to the point in the content that would have been placed at the start edge of the containing block if it were not an initial letter (i.e. the distance between its glyph bounding box and its start side bearing). 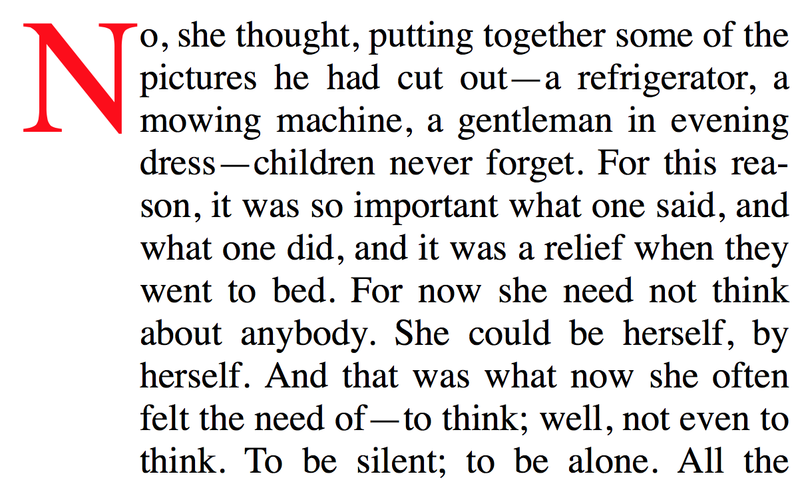 The interaction of initial-letters and hanging-punctuation is under discussion. The bounding box of 永 (U+6C38) can be used to find the ideographic character face edges. David Baron, David M Brown, Oriol Brufau, John Daggett, Stephen Deach, Sylvain Galineau, David Hyatt, Myles Maxfield, Shinyu Murakami, Jan Nicklas, Tess O’Connor, Sujal Parikh, Florian Rivoal, Alan Stearns, Weston Thayer, Bobby Tung, Chris Wilson, Grzegorz Zygmunt.